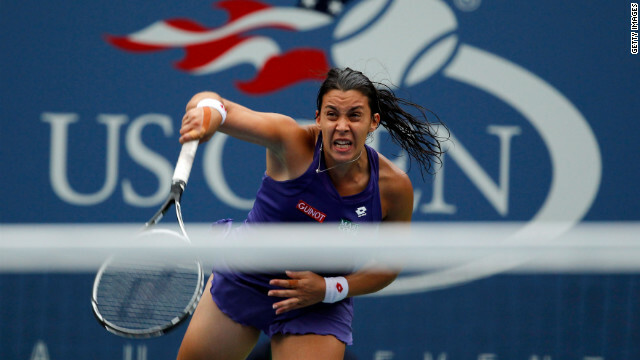 Wimbledon champion Marion Bartoli made a shock decision to quit tennis after losing her opening match at the Cincinnati Open on August 14. The announcement came just six weeks after the Frenchwoman won her first grand slam title at Wimbledon. The 28-year-old, who rose to seventh in the world rankings with her breakthrough triumph, told reporters at the U.S. Open warmup tournament that her body could no longer cope with the stress of touring life. Bartoli celebrated her Wimbledon win with her father Walter, who was her coach for over 20 years before she began working with former world No. 1 Amelie Mauresmo (right). Walter encouraged his daughter to adopt a two-handed playing style as a child after being inspired by the success of Monica Seles. Bartoli, who never had professional coaching, also developed a distinctive serving style. She reached the semifinals on the red clay of Roland Garros at the 2011 French Open. She reached the quarterfinals of the 2012 U.S. Open, and the same stage of the Australian Open in 2009. 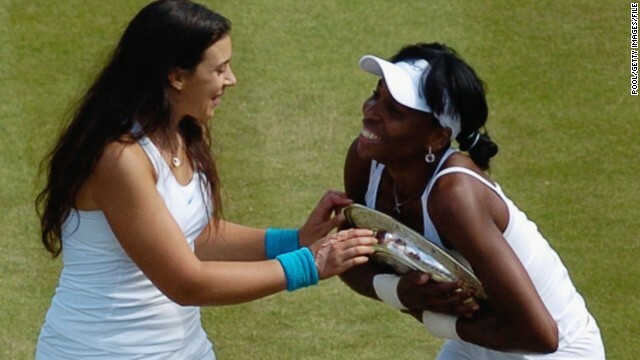 But it was Wimbledon where Bartoli made her name, losing in the 2007 final against Venus Williams (right) on the hallowed grass courts of the All-England Club. 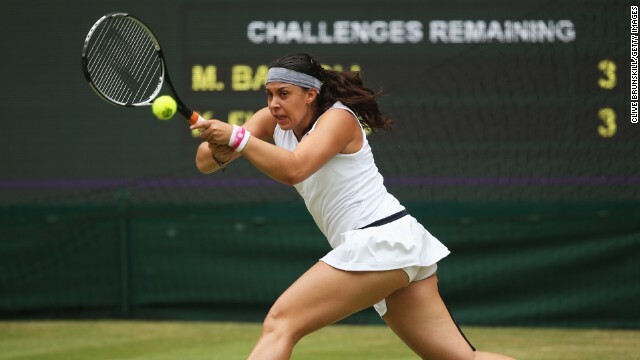 (CNN) -- Marion Bartoli has retired from tennis with immediate effect, just six weeks after winning her first grand slam title at Wimbledon. The Frenchwoman, who beat Germany's Sabine Lisicki to be crowned champion at the All England Club, broke down in tears as she told reporters her body could no longer handle the strain of competing at the top level. The announcement came following the world No. 7's 3-6 6-4 6-1 defeat to Romania's Simona Halep in the second round of the Western and Southern Open. "This was actually the last match of my career. Sorry," the 28-year-old said during an emotional press conference in Cincinnati. "My body just can't do it anymore. I've already been through a lot of injuries since the beginning of the year. "I've been on the tour for so long, and I really pushed through and left it all during that Wimbledon. I really felt I gave all the energy I have left in my body. "I made my dream a reality and it will stay with me forever, but now my body just can't cope with everything. I have pain everywhere after 45 minutes or an hour of play. I've been doing this for so long, and body-wise I just can't do it anymore." 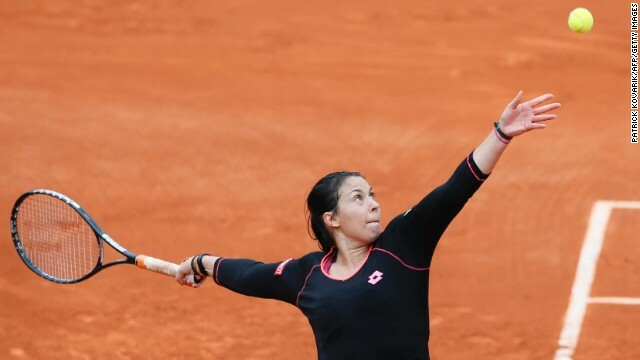 Bartoli had not planned on calling time on her career prior to the match, but she knew once the contest had finished that it was time to hang up her racket. "You never know before the match that it's going to be your last match," she explained, "but I just felt that way after the match. 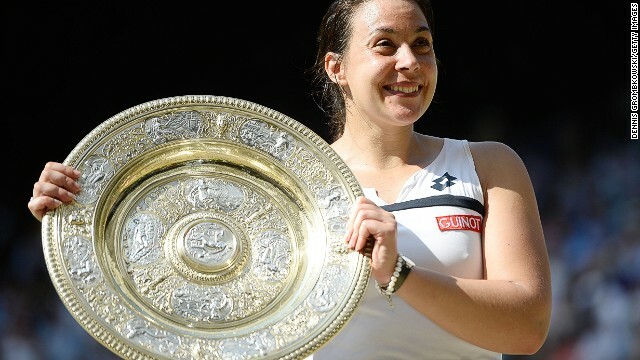 Marion Bartoli with the Venus Rosewater Dish. 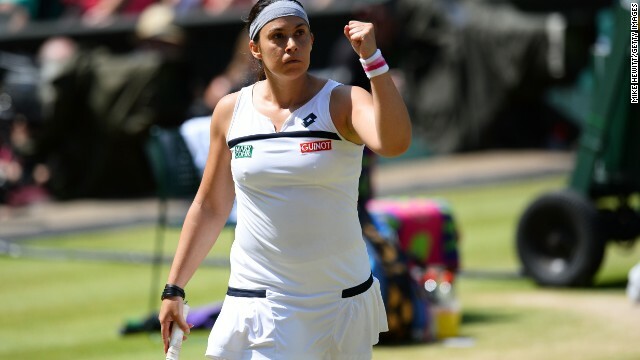 The 28-year-old claimed her first Grand Slam singles title with victory over Germany's Sabine Lisicki at Wimbledon on Saturday. Lisicki didn't play her best tennis in the final, but has become a firm favorite with the Wimbledon crowds in 2013. The 23-year-old stunned Serena Williams in the fourth round and fended off Agnieszka Radwanska in the semis. Bartoli embraces her father and former coach Walter. Her current coach, Amelie Mauresmo (right) was the last French winner of the Wimbledon women's singles title. Bartoli and Lisicki share a sporting embrace during the awards ceremony. Bartoli reached the Wimbledon final in 2007 where she lost out to Venus Williams. The number 15 seed was in scintillating form on Center Court on Saturday, reeling off a number of forehand winners. "I felt I just couldn't do this anymore. After one set, my whole body was just in pain. "It's been a tough decision to make. I didn't make this decision easily. I've been a tennis player for a long time, and I had the chance to make my biggest dream a reality. I felt I really, really pushed through the ultimate limits to make it happen. "But now I just can't do it anymore." Bartoli turned pro in 2000 and, after battling for 13 years to win one of tennis' four grand slams, she now feels the time has earned the right to focus on other areas of her life. "As a tennis player you had to be at 100%," she added. "I'm the kind of person, when I'm doing something, I'm doing it 100%. I have to be on the practice court preparing for the next tournament tomorrow. "There are so many things to do in life rather than playing tennis, so I'm sure I'll find something. I just need a bit of time to settle down. "There is a lot of excitement as a woman. 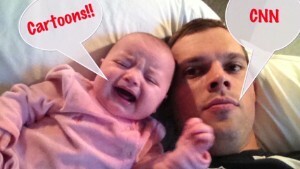 There is a lot of excitement as a wife. There is a lot of excitement as a mother. There is a lot of excitement to come up." Bartoli was taught tennis as a child by her father Walter, a doctor who coached her for most of her playing days until they split earlier this year and she began working with former world No. 1 Amelie Mauresmo. "I called him, yes. 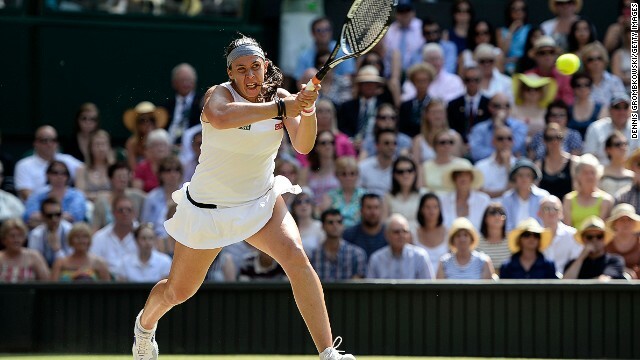 But my dad knows me enough to know it a bit when he saw me leaving home for the States," Bartoli said. "He kind of felt I was tired and I was exhausted, and he was not surprised by the decision. "He said, 'I kind of felt it somehow. I can see it in your eyes and see your body and I know all the work you've done to make it happen. I'm so proud of you. I will support you in anything you're doing.' "
Bartoli first came to prominence when she reached the 2007 Wimbledon final, losing to Venus Williams. An unorthodox player with a distinctive serving style, she earned more than $11 million on the court -- $2.87 million of that this year -- with eight WTA Tour titles. "I congratulate Marion on her long, successful career," said WTA Tour chief Stacey Allaster. "She is an inspirational champion and a great ambassador for women's tennis that has dedicated her life to the sport and given so much back to the game." Courtney Nguyen, a tennis writer with SI.com, said the timing of Bartoli's decision has stunned everyone. "It is quite shocking, even before this tournament she had been making plans to play in exhibitions in Australia in January, she had been talking about still being motivated and wanting to achieve more goals in tennis," Nguyen told CNN. "I think a lot of people are either second guessing her decision or just saying 'You know what, Marion Bartoli played her tennis career on her own terms, in her own way, this is exactly the way Marion Bartoli would go out.' "
Goran Ivanisevic, who was unable to defend his Wimbledon title in 2002 due to injury, said Bartoli might regret her decision when next year's tournament starts in late June. "There is nothing like playing at Wimbledon as 'Wimbledon champion.' I couldn't defend." the Croatian told the website of the senior players' Champions Tour. Guy Forget, who was Bartoli's captain in France's 2004 Fed Cup team, said she may have made a hasty decision. "Marion is a very smart girl, she is so dedicated about the sport that I'm always very cautious about someone's quote right after a defeat, and that happened right after she lost," the former world No. 4 told the Champions Tour website. "Go to the beach for a few days, go running in the park, just get your head together, spend some time with your friends. And, if you don't want to play the next week, just don't play it -- if you want to miss the U.S. Open, fine. "But just don't quit, don't take such a radical decision only a few weeks after winning the biggest tournament in the world." What does 2015 hold for Rafa? Rafael Nadal's body might be giving him a few problems, but his mind remains as strong as ever. Will the Spaniard add to his haul of 14 grand slam titles? A year that began in uncertainty for Roger Federer ended with a historic title for the 17-time grand slam champion and his country. The Scot has served up a few changes to his support team in 2014 but there's one person who isn't going anywhere -- his new fiancée Kim Sears. His distinctive crocodile logo is seen on clothing all over the world, but Rene Lacoste also left a lasting legacy in the development of tennis. Marin Cilic follows in the footsteps of his coach Goran Ivanicevic by claiming a grand slam crown for Croatia, winning the U.S. Open. Serena Williams is without peer in the modern women's game and now she is on a par with two American tennis legends from the past. Over the course of her remarkable life, Althea Gibson was many things to many people -- but it was tennis where she really left her mark. Canada and tennis? Really? Yup. The North American tennis power balance is swinging away from the States. As a player he was as fiery as his hair -- and as Novak Djokovic's coach, Boris Becker says he has to battle to keep his emotions in check. Tennis great Boris Becker says he was stunned by the level of criticism he received after being appointed as Novak Djokovic's coach. "I didn't cry once when I practiced in front of the mirror," says Martin Emmrich. But the nerves kicked in when he got down on one knee on court. When Agnieszka Radwanska refused to look her opponent in the eye after losing at Wimbledon, it raised more than eyebrows. It's 10 years since a teenage Maria Sharapova became the darling of Wimbledon's hallowed Center Court, launching herself as a star. Five-time grand slam champion Martina Hingis has followed her mom into a coaching role, setting up a new tennis academy in Barcelona, Spain.